The CoffeeShop Blog: CoffeeShop Web Boards 8! 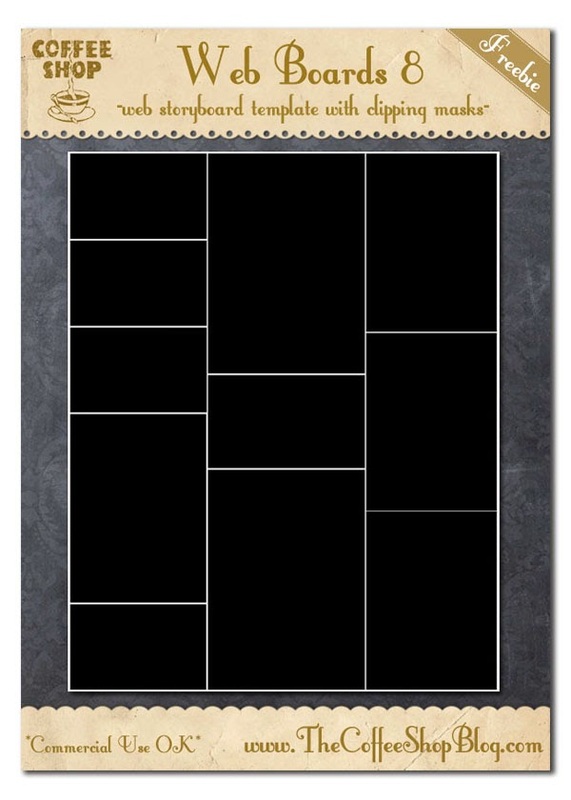 Today I am posting a new storyboard you can use on your website, blog, or on greeting cards. This storyboard is a psd file and has clipping masks so you can quickly add your images. I added a layer that you can turn on with the map of the numbers in case you have issues figuring out which clipping mask goes with each location. New to clipping masks? Read my tutorial!!! Thank you! I often forgot to leave a bit of appreciation to recognize your talent and generosity! Thank you again :-). I will be on uni holidays un a month and have so many things I want to try on here including this storyboard.